I built this TV stand as well as a stand up desk and a large coffee table as part of a suite of furniture for my client’s home. The tops of the TV stand and desk, as well as the supports for the glass on the coffee table and one side of the TV stand, are all made from hard maple live edge slabs all from the same tree. 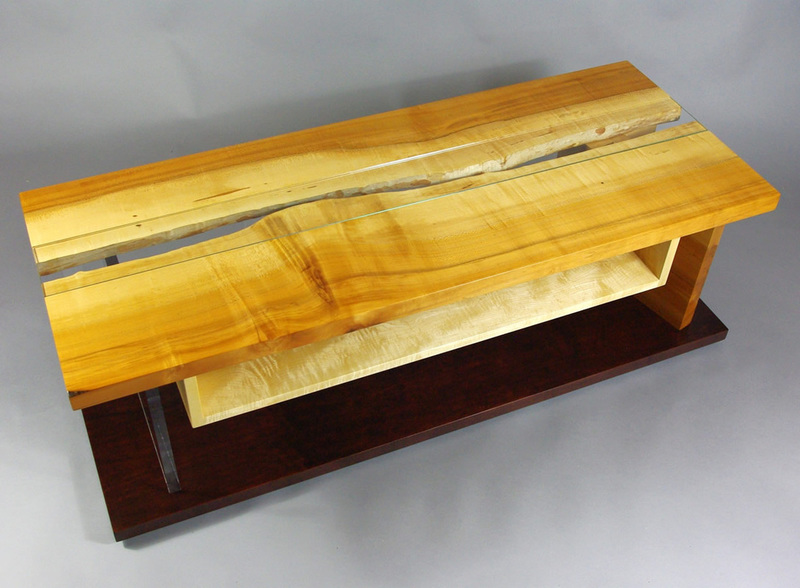 The wood is really beautiful with lots of character, color variation and impressive figure. 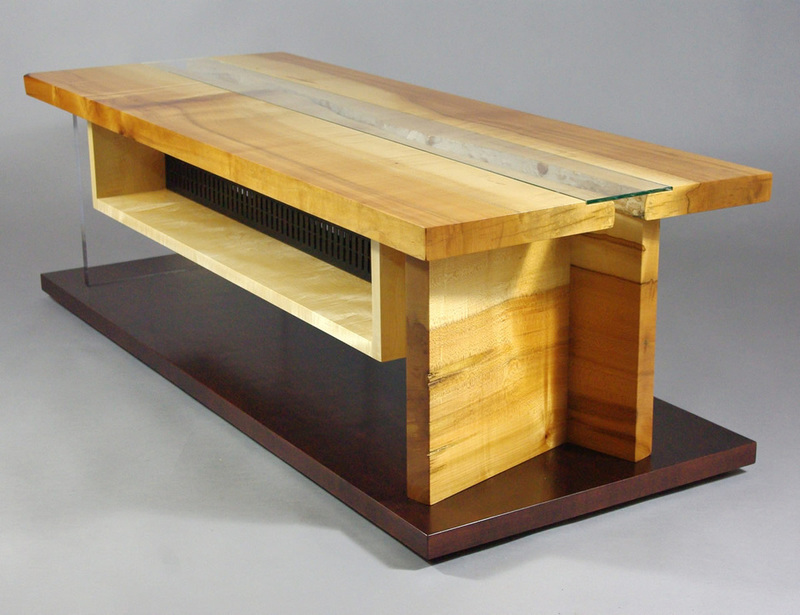 The bases/legs are made from carefully dyed and stained maple veneer over hardwood ply. 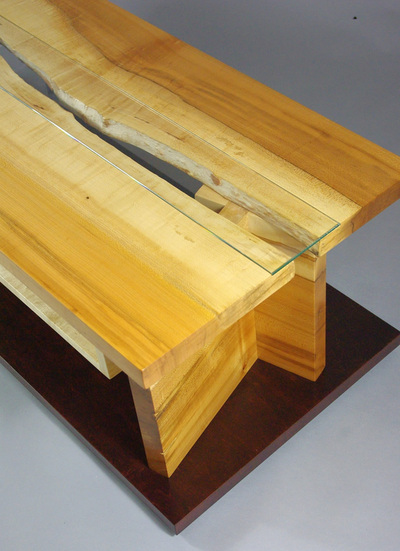 I really think that juxtaposition of the very refined bases and the more wild slab wood, along with the glass and acrylic, makes for a fascinating contrast. 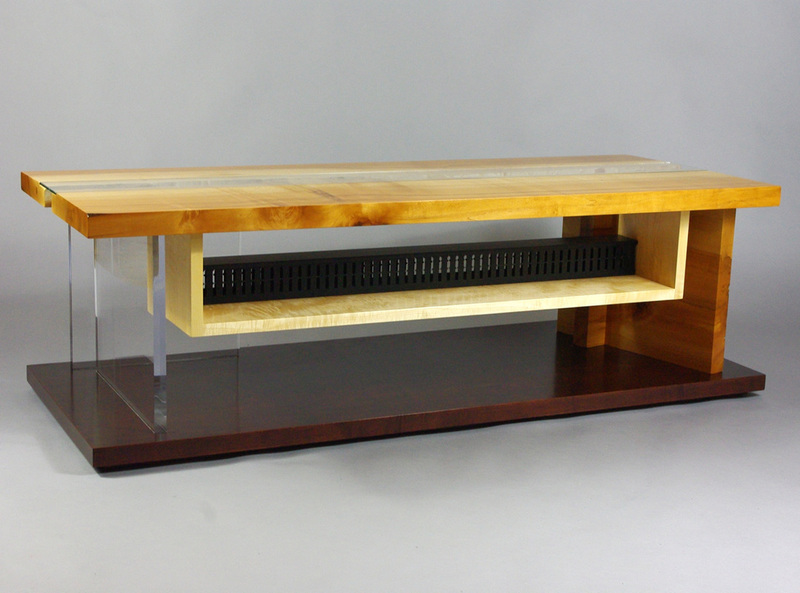 The TV stand features a figured hard maple shelf designed for a nice sound bar and has a fingerduct trough installed to hide and organize all the cables from the TV and components.